I feel shackled. Weighted down. Limited. 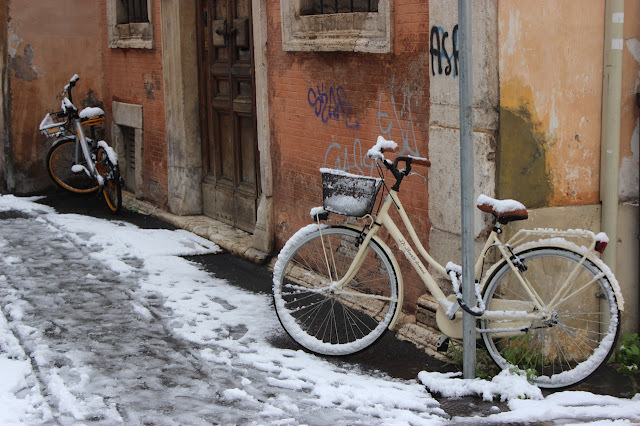 Without my bike in Naples, I feel immobilized. The feeling of the wind on my face as I zoomed over Blackfriars Bridge in London has no equivalent in Naples. There is no rush as I submit to gravity from atop a hill, no excitement of swerving through traffic, no zooming to clear a busy intersection before the light turns red. The things we give up for pizza, right? For all of its perks, and there are many, I would never cycle in Naples. After a week in Rome and Florence, however, Italians are clearly into their cycle culture. Italian cities, however, just aren't made for it. Cobblestones, reckless scooters, and traffic signals that seem like playful suggestions are just some of the reasons I have yet to mount a bicycle. People here in Naples say it's fine. It's safe. The hills only go up one way. I don't believe any of it. I prefer to walk, even if it means I never get very far. 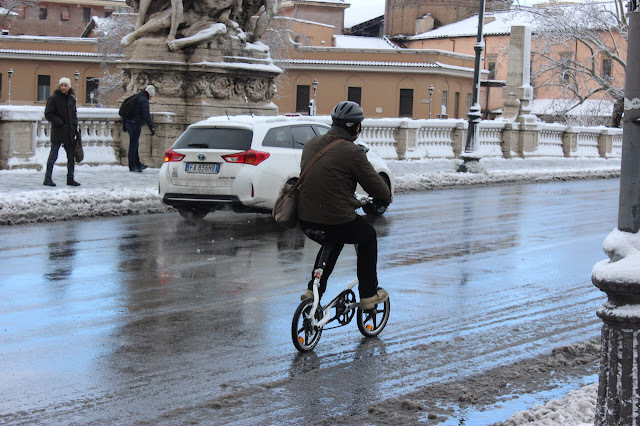 Biking in Rome looks less glamorous when it snows...however rare that may be. 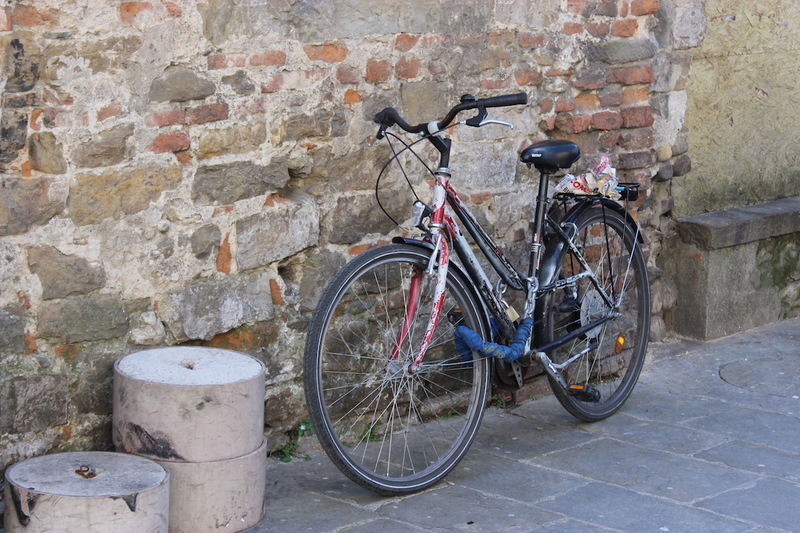 I think of my little blue bike, taking a much-deserved break in London, tucked away in a friend's home. I wonder if I'll ever ride it again. I mean, yes, of course, I will, I simply don't know when. It was a part of everyday life for so long, and now, well, it's becoming a distant memory. I just hope I remember how to ride it when I get back to it. I hear that's one of those things that's really easy to forgot. I mean, he's a trooper...and I'm secretly jealous. You'll be riding THIS WEEKEND! 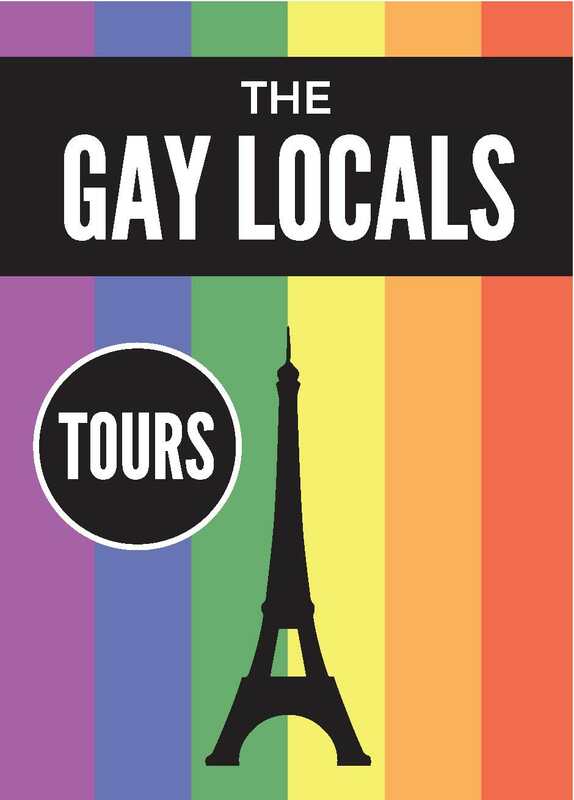 I'll race you from here to the NHM, me on the metro you on your bike!